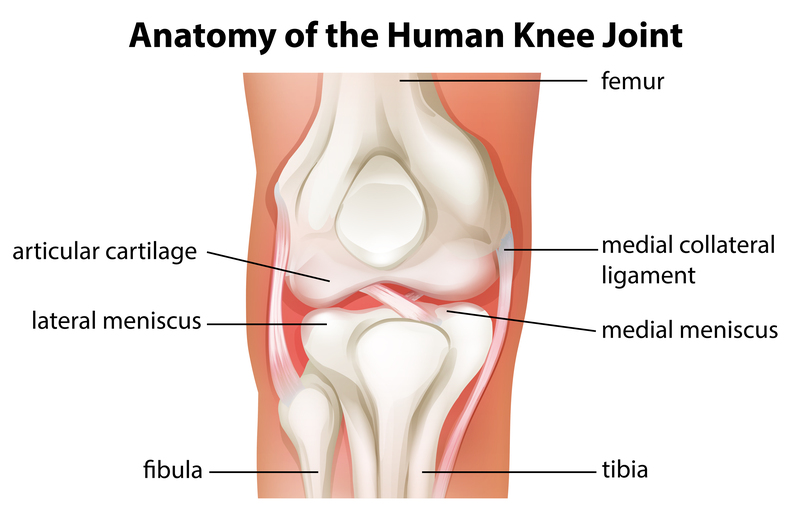 The knee is one of the most complex structures in the human body, so it’s no surprise that things sometimes go wrong with it. If you’ve been experiencing pain behind the knee, there are a variety of possible causes. Here is some basic information you can use when you speak to your doctor. Since knee pain can sometimes be a sign of a serious condition, it’s important that you get it checked out by a skilled medical professional. Your knee normally produces a natural lubricating fluid that helps the joint move smoothly; it stores this fluid in sacs at the back of your knee. Sometimes, however, the knee produces too much fluid. When this happens, the fluid can collect and cause the sac to expand. This creates a lump behind the knee called a baker’s cyst (also known as a popliteal cyst). A baker’s cyst causes pain and a sense of tightening, and it usually gets worse when you fully extend your leg. The pain will also tend to worsen over time as more fluid builds up. Usually, a baker’s cyst forms in response to some form of trauma, such as a blow to the back of the knee, but it can also be a result of certain knee conditions, such as arthritis. Though unusual, it’s possible that a more serious condition is at the root of a bulge on the back of your knee, so it’s important that you get a potential baker’s cyst checked out as soon as possible. Baker’s cyst treatment usually consists of treating the cause. If you’ve experienced an injury, you may need to ice the area, rest, and sometimes wear a brace to help stabilize the area and force the fluid out of the sac it is trapped in. If your baker’s cyst is a result of arthritis, your doctor will treat you for it, often using simple over-the-counter medications, but sometimes with stronger medications, such as prescription anti-inflammatory medications. Be sure to contact your doctor if your condition fails to improve or gets worse. Another common cause of pain behind the knee is osteoarthritis. 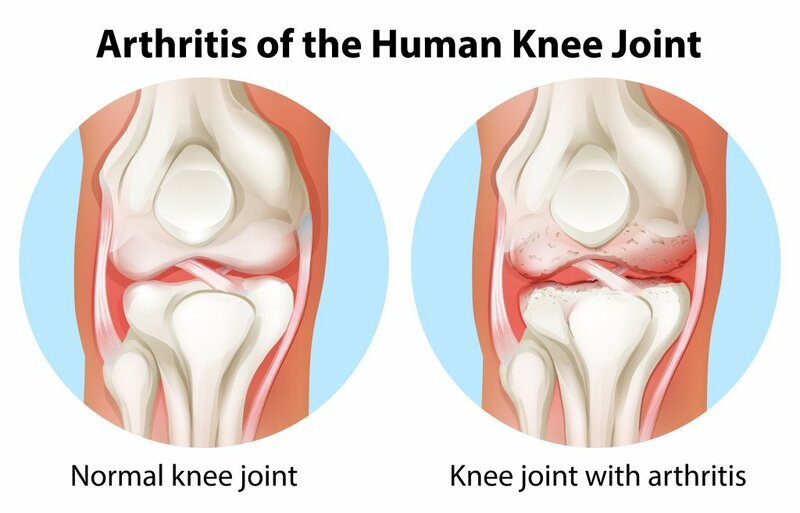 Normal wear and tear, usually the kind associated with aging, often causes the natural cushioning in joints (including the knee joint) to break down. When that happens, bones begin to rub together. Though osteoarthritis usually affects the front of the knee, pain can also occur at the back. Other common sites for osteoarthritis pain include your finger joints, wrists, and elbows. If you are also having pain in these areas, especially if you are over 45, osteoarthritis may well be the culprit. Though there is currently no cure for osteoarthritis, staying active, maintaining a healthy weight, and occasional use of over-the-counter pain medications can often manage the condition effectively. If osteoarthritis pain is bad enough to impact your ability to function, talk to your doctor. She can recommend other possible treatments, such as corticosteroids to reduce inflammation. It can also help to try herbal supplements such as glucosamine, which help to cushion the joints when used consistently. You should also talk to your doctor before trying glucosamine, as it can interact with some medications. Rheumatoid arthritis is another possible cause of pain behind the knee. Though its symptoms are similar to those of osteoarthritis, rheumatoid arthritis is actually quite different. Rheumatoid arthritis (sometimes called R.A.) is an autoimmune condition that causes your body’s own immune system to attack your joints. Symptoms include warm, tender joints, morning stiffness that may last for a few hours, fatigue, fever, and unintentional weight loss. You may also feel small, hard bumps under your skin. Rheumatoid arthritis can present at any age, though it is most common in people over 40 years of age. If you have symptoms of rheumatoid arthritis (which can mimic the symptoms of many other diseases), your doctor may suggest seeing an immunologist to confirm your diagnosis. Rheumatoid arthritis is treatable, though there is currently no cure. Since rheumatoid arthritis can damage your joints if left untreated, most doctors recommend trying one of a class of drugs designed to help slow the damage and modify your body’s immune responses. These drugs can increase your risk for infection, so you’ll need to make sure to take them exactly as prescribed, notify your doctor of any illness, and limit your exposure to infectious agents. Over the counter and prescription pain medications can help manage pain, as can corticosteroids, which reduce overall inflammation. With all types of knee pain, it’s best to see your doctor ASAP, since early detection is crucial to treatment for a variety of knee conditions. Taking your doctor’s advice and taking care of yourself can help keep your knees healthy for years to come.